Behave like a gangster in the Mafia City! 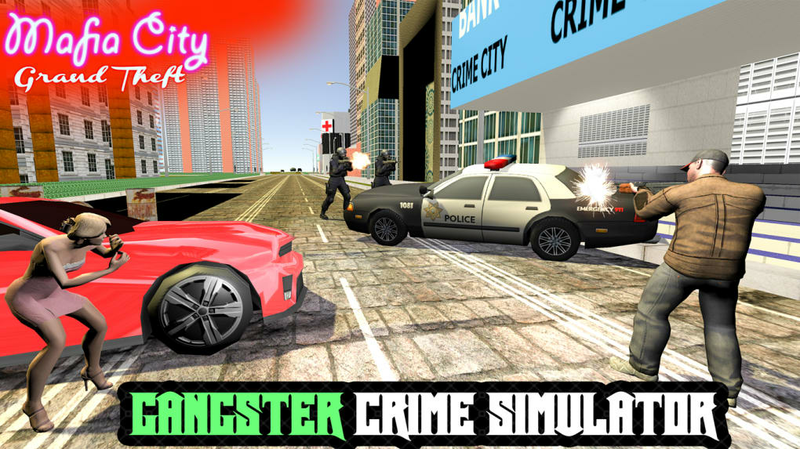 This free game is a superb rendition of the GTA style of first person action that allows players to live out their fantasies of behaving like a gangster in an all round action-packed setting. The idea is to start out hustling on the streets and to end up making it big in the mafia by embracing a life of crime to the full and taking no prisoners along the way! The basics of Mafia City Grand Theft Mission are easy enough to pick up but the game developers might have spent a little more time on explaining how to complete each mission and control the action. However, most functions are simple to figure out what you need to do, whether racing away from cops or engaging in a shoot out. There are nine separate games to complete, each set out as a new mission. The game allows you to progress in a life of crime becoming more and more proficient in the eyes of your mafia bosses, however the game does not have the sense of narrative that something like GTA does. There again, it is a free to download game, so you can't ask for it all can you? 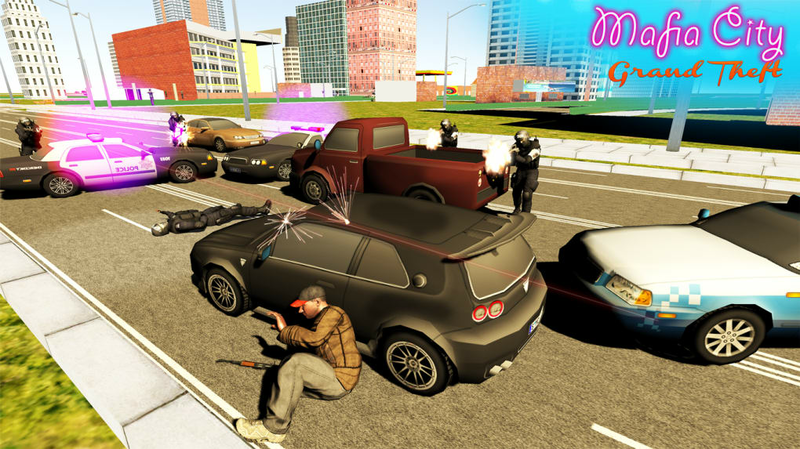 Beginning in Miami, the character you control in Mafia City Grand Theft Mission goes on to complete missions in other cities, such as Las Vegas, and San Andreas as you make progress. In some missions, you are hustling but others you need to see of competition that comes in the form of other gangsters. 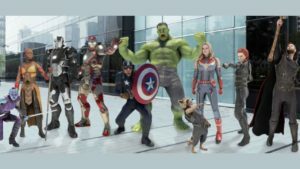 The 3-D graphical interface is fast moving despite a few glitches here and there, but there is nothing to stop you really enjoying the flow of each mission. 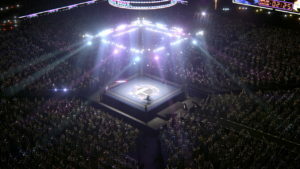 Simulating violence and intimidation, the game is not really suitable for kids, despite the developers' claim that it is designed for ages 10 and upwards. However, you cannot actually kill other characters in the game, something that cannot be said of other games of this ilk. 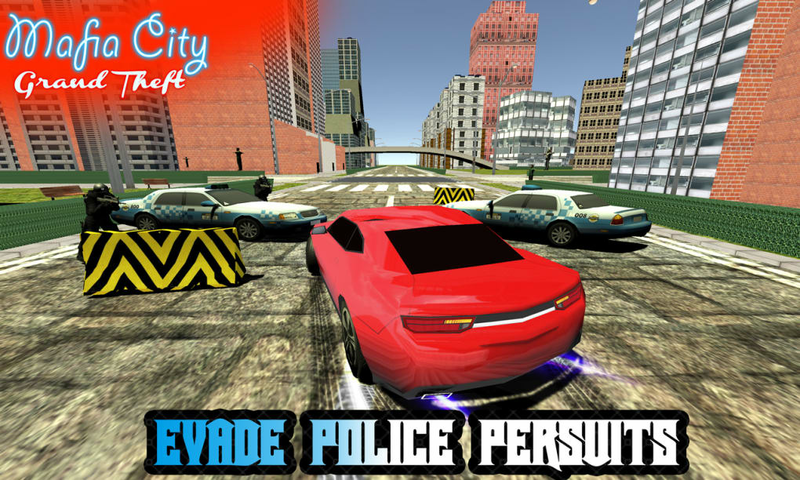 Touch controls are used to move the main character around with on-screen buttons being utilized for vehicle controls, including an ejection option. For desktop and laptop users, keyboard control is also offered which can help you to play with a bit more accuracy. The sounds are realistic and add to the immersive nature of the gameplay. In particular, the gun fire sounds are incredibly accurate for a game of this sort. 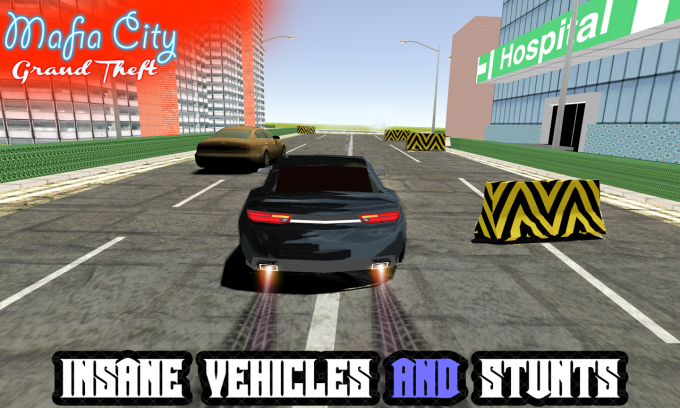 The latest version of the game features new colors, new cars and further missions are also expected. 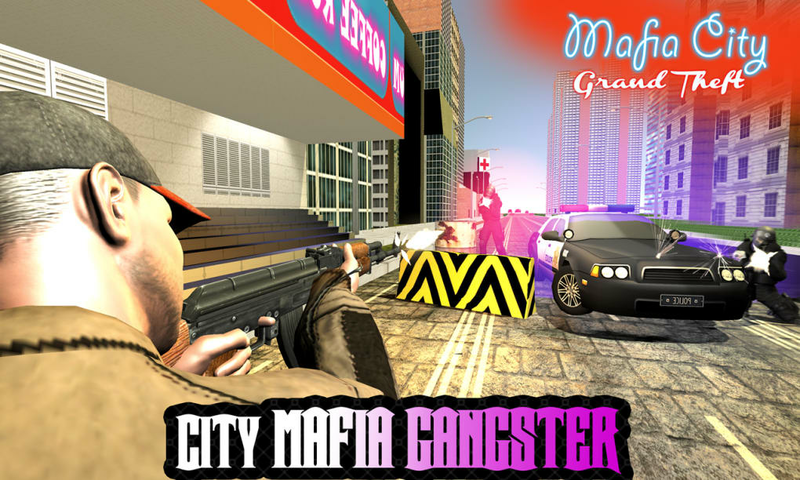 This game is a no go for anyone who doesn't like these sort of gangster simulator games which have been around for a number of years. For a free version of the genre, this is a superb attempt with some great plus points. 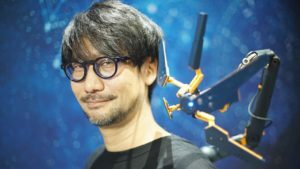 Despite this, the game is only likely to appeal to people who have played similar games before and are looking for more of the same. What do you think about Mafia City Grand Theft Mission? Do you recommend it? Why?